This quick guide assumes that you already have the Happy Checkout app installed on your site. Once your account is setup, create your first form. 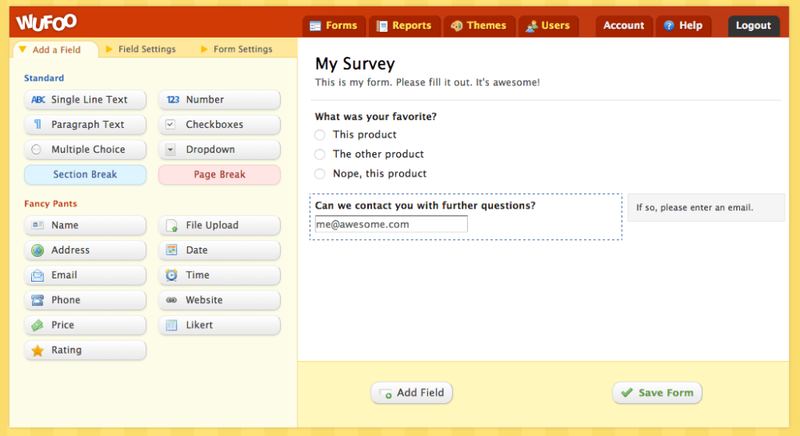 When you've added your survey questions or fields to your form, save your form. 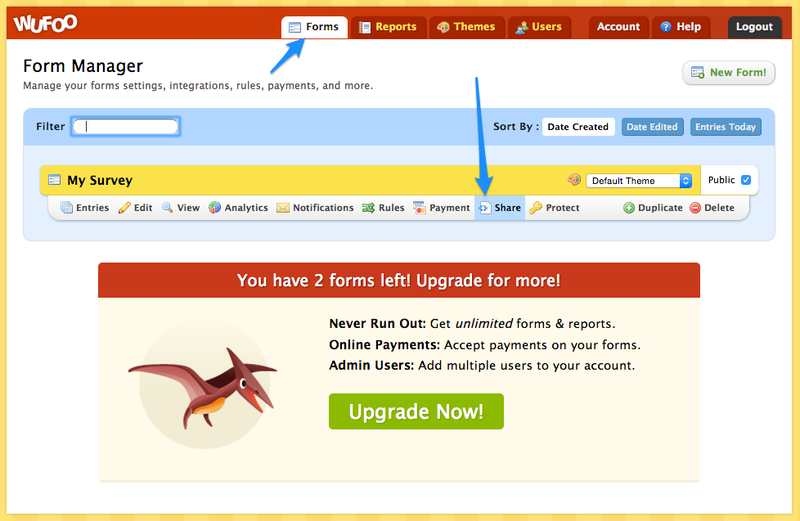 Now go to the Forms Manager, and click the "Share" option for your new form. Scroll down until you see the code to embed your survey form, and copy all of this code. 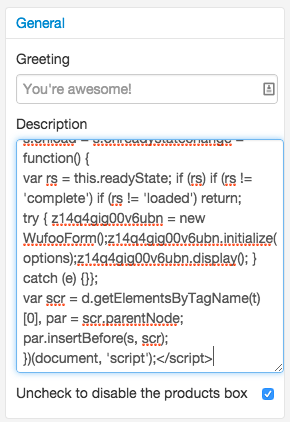 In the Happy Checkout app, paste this embed code in the "General > Description" field. 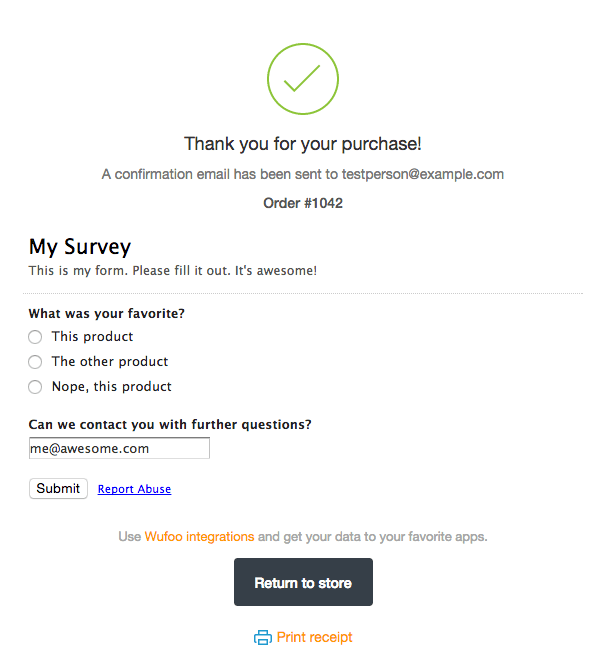 Save your Happy Checkout layout, and your survey will now be embedded on your Thank You page. Customers can complete and submit this survey without ever leaving the thank you page. If you run into any questions or issues while embedding your survey, please get in touch and we'd be happy to help out :).